The village Glyki is one of the least known villages in Greece. It is located 414 km north-west of Athens, takes about five and a half hours to reach by road and belongs to the prefecture of Thesprotia, pretty close to Parga. Inconspicuous as it may seem, this village is blessed enough to be located on the banks of the Acheron, “the river of woe”, reason enough for well-read travellers to pay it particular attention. The Acheron is known from mythology as one of the cursed rivers and one of the five that led to the Underworld.The springs of Acheron River is an area of outstanding natural beauty located at the border of Thesprotia and Preveza, close to the villages of Kanalaki and Glyki. Apart from the natural beauty, the springs of Acheron is known worldwide for its mythological contents. In ancient Greek mythology, Acheron was one of the five rivers of the Greek underworld. According to the tradition, Zeus was devastated when the Titans drunk from the water and then he condemned the river to remain eternally under the earth while its water became darker. Acheron River is located 25km from Parga, in a beautiful surrounding with rich vegetation and crystalline waters which comprise a unique natural landscape. In many parts of the river where the water flow is normal, there are lakes and water pits which have the ideal living conditions for many amphibians and fish. In other locations, the river flows impetuously through steep and precipitate high cliffs. In the rocky side slopes of Acheron, there are many birds of pray that nest in the forest slopes of the canyon. Acheron River comprises a fantastic short trip for its magnificent transparent water and the surrounding rocky landscape. It is actually one of the least known places in Parga thus it retains its unspoiled natural beauty and secret energy. It flows from the mountains of Souli Epirus and after a long way it reaches the Ionian Sea in Ammoudia beach. Just a few km away from the sea, there is a forest with planes growing in the water, looking almost exotic due to their weird shape. After you cross the forest, you will see the edge of the river, reaching the imposing roman bridge, an ideal place for picnic. There is no doubt that Acheron is a magnificent location with white rocks reflecting in the blue green water. 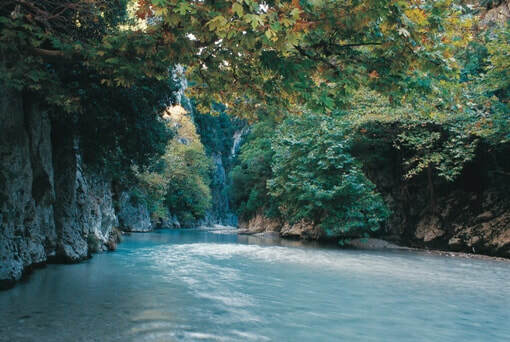 Today, Acheron River is an ecosystem that is recognized and a protected area by the Natura 2000 Network. Situated at the mouth of the Ambracian Gulf, Preveza is linked to Epirus and the rest of the mainland by Greece’s first undersea tunnel. When you exit the tunnel, the city greets you with a smile. Sandwiched between two bodies of water, the Ionian Sea and the Ambracian Gulf, Preveza will charm you with its lovely jetty, yacht-filled marina, dozens of restaurants and meze-bars, pedestrianised centre and stylish shops. Just outside town you’ll encounter Augustus, Antony and Cleopatra at ancient Nikopolis. After that, there are some 60km of beaches to explore in this corner of Epirus, from Preveza to Parga. Preveza will make you think you’ve reached an island, particularly if you arrive by boat. Buy an ear of grilled corn from a sidewalk vendor and walk along the seaside esplanade where cafes and restaurants are sandwiched between neoclassical buildings. In the pedestrianised centre you’ll come across surprises at every corner; bookshops with the latest editions, belle epoque teahouses, outdoor tables overflowing with tasty titbits, cosy bars, restaurants and avant-garde photoshops. Preveza is a civilised delight. Your trip to Preveza will be teeming with beautiful imagery and rare attractions. Among the many sights in Preveza that will keep you fascinated are the Seïtan Bazaar; the Archaeological Museum; the clock tower and its sun dial; the church of Agios Haralambos with its carved wooden iconostasis; the religious paintings from 1780 in the church of Agios Athanasios and Pantokrator Castle, built in 1807 by Ali Pasha to control the straits, and the eponymous chapel inside it. Octavian, later to become Augustus, won a truly decisive victory against the combined forces of Antony and Cleopatra at the naval battle at nearby Actium in 31 BC and he founded Nikopolis (victory city) to commemorate his triumph. Much later, the emperor Justinian strengthened the fortifications, the reason the walls are still standing today. In this huge archaeological site you’ll come across the remains of 5th and 6th century basilicas, among much else. Don’t miss the Archaeological Museum of Preveza either for major finds from the city’s long history. Sixty kilometres of sandy beaches and fine swimming await you from Preveza to Parga; Loutsa, Valtos, Lychnos, Ammouthia, Lygia, Kastrosykia…the list continues with a typical mixture; some secluded and practically untouched, some organised with busy beach bars. 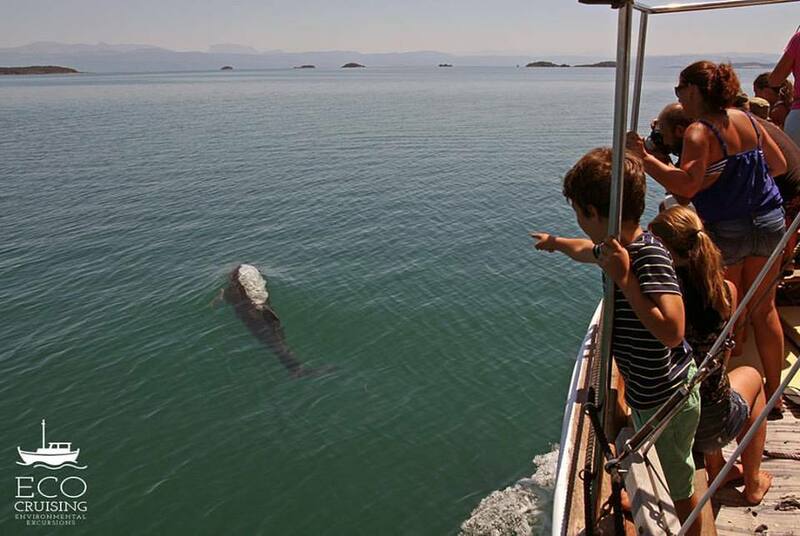 Amvrakikos gulf, a small hidden paradise and home of a special population of wild dolphins. The gulf hosts amazing diversity of life but this life is at risk: more than 50% of it’s water masses have low or zero oxygen, so officially can be characterized as a dead marine zone. Amvrakikos Bay is a protected by Ramsar area, as a wetland of international importance, a Wild Life Refuge, an important area for bids and a National Park (since 2008). Kostas Karyotakis, Greece’s ‘poet of sadness’, took his own life in Preveza in 1928. His house is on Dardanelion Street and his bust in the square of the same name. Listed as a wetland of international importance protected under the Ramsar Treaty. In the Ambracian Gulf, about 280 species of birds have been recorded in its seven main lagoons. One of antiquity’s most important naval battles occurred at Actium, Aktio today, on the south side of the entrance to the gulf, opposite Preveza. Octavian’s victory made him emperor Augustus of Rome and the most powerful man in the known world. Preveza is heaven for seafood lovers. Grilled sardines, grey and red mullet, and shrimps are typical delicious local fare but it is the preserved roe of the grey mullet that takes pride of place. Called the caviar of the Ambracian Gulf by the locals, the roe is salted, dried and coated with beeswax. It is then usually sliced thinly and served with crusty bread and ouzo. Truly divine. Have the opportunity to swim in a breathtaking natural bay alongsite the luxury yachts of the international jet set in the incredibly clean blue-green waters, which are unique in the Mediterranean. Only from the sea can the incredible shapes and colours of the vertical cliffs, mysterious caves and sharp, jutting rock formations be marvelled at while the sea continues to display it’s unique blue-green spiritual clarity. Explore Paxos island’s capital, Gaios.This Lilliputian paradise is intensely characteristic of the Ioanian Islands and it’s charming architecture will remain in the memory of every visitor. Walk in the water, against the current. In some points you will probably need to swim in the crystal clear waters of Acherontas. When you enter the gorge you will see one of the most beautiful sceneries in Greece. Walk in the river until its affluent “Dala stream”, where the ruined bridge is. 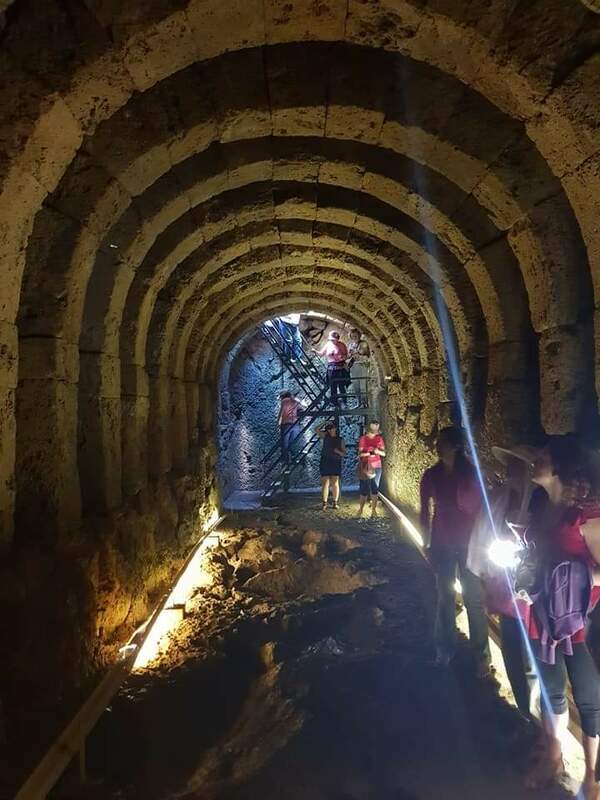 If you cannot stand the water or if the time of the year is not right, you can reach this place from the old Souliotes pathway Skala tis Tzavelenas which nowadays has been reconstructed. We suggest going up the stream to its springs and the reconstructed mill. The pathway to Souli starts from here. This hidden paradise is revealed during a whole day cruise, on a traditional wooden boat that starts from the port of Preveza. See Caretta caretta sea turtles, dolphins, Dalmatian Pelekans, eels. As you sail deeper into the bay, the friendly and scientifically educated crew will introduce you to that place and explain how its rich natural environment defined its history. The ancient Greeks believed that after you die, the soul will descend into the underworld via subterranean passages. There were several oracles in Greece, who were thought to be portals through which the gods could communicate directly with the people. In order to communicate with the dead, one would have to visit the oracle in Epirus, in the ancient temple of necromancy, devoted to Hades and Persephone, on the banks of the Acheron river. No Greek holiday is complete without a sea cruise. These three jewels of the Ionian Sea – the islands of Paxos and Antipaxos, situated close to the southern coast of Corfu, and the famous blue Cavesof Paxos – offer a glimpse into the hidden, rugged beauty of the islands. The boat enters the breath-taking sea caves, whose clear blue waters will leave you speechless. 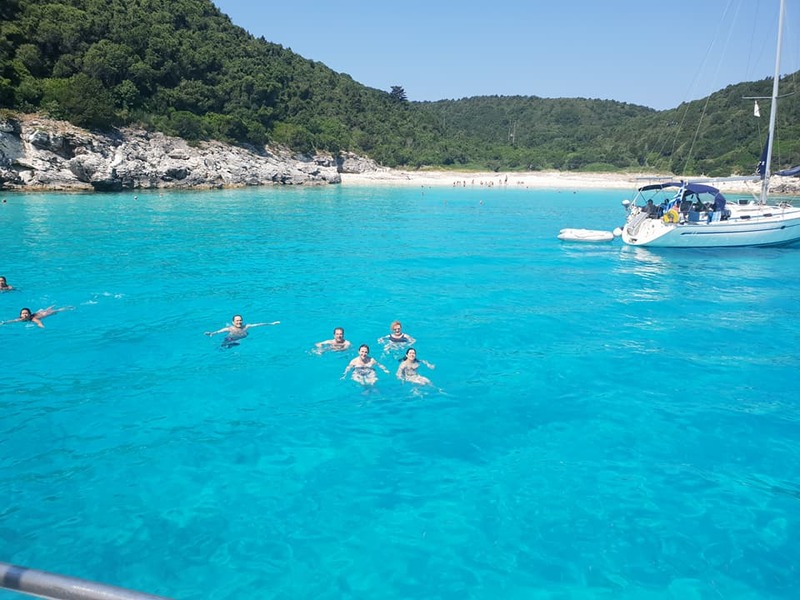 The blue caves marine area is a natural habitat of the Mediterranean monk seal (monachus monachus) and all the island complex of Paxos, included in the European initiative ΝΑΤURΑ 2000.